When processing lab samples on your OenoFoss you will be asked to enter a Code or ID to reference that sample into the OenoFoss software. The Code you enter must exactly match the designated Sample Set Code allocated to that block for that particular year in vintrace. This is a critical point as it allows vintrace to match the analysis results output from OenoFoss against blocks in your Sample Set Console. It’s important to create your Sample Sets in vintrace ahead of harvest each year before trying to upload results from your OenoFoss. For more detail on creating and managing your Sample Sets in vintrace please consult our fruit sampling guide before continuing. We recommend that you configure your Lab (or the lab you use to request samples from) with the appropriate metric mappings so that the column names from the OenoFoss export file match your metric names in vintrace. Here is a sample mapping but ensure your OenoFoss output matches this before copying verbatim. What some vintrace users choose to do is to setup special Metrics in vintrace that clearly identify the result as coming from the OenoFoss. For example, they create metric called a VA – OenoFoss which clearly shows where it was derived from. You will still need to map those metrics as well. 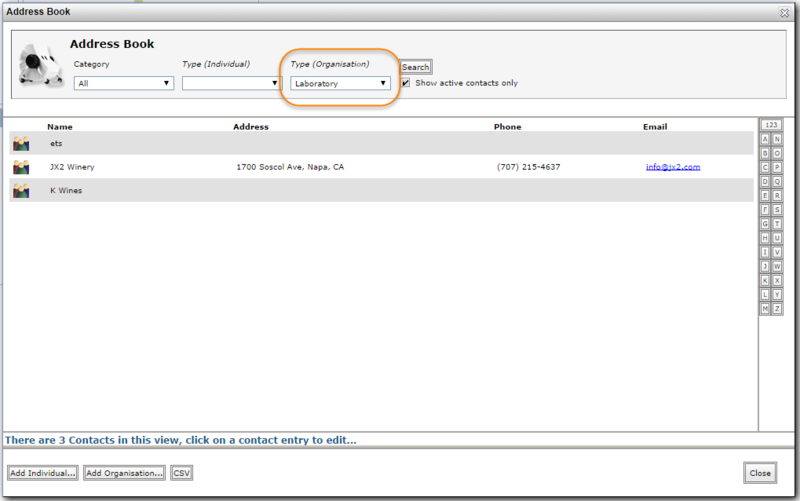 To configure the mappings open your Address Book and change the Type (Organisation) filter to Laboratory. 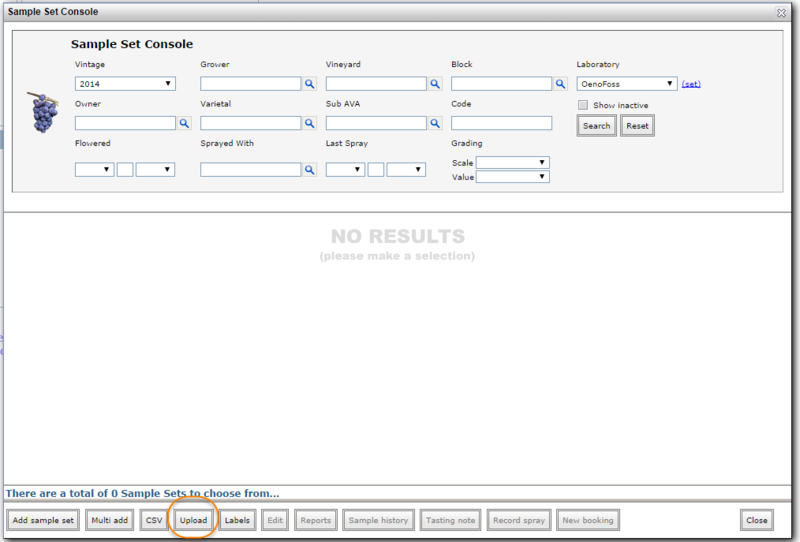 Select your lab and the Roles tab. Select Laboratory from the list of roles. From here you need to make sure your Sample sets under Consoles > Sampling are configured with the lab you have set your metric mappings for. This is important so the importer knows which fields to map to your metric names. This can be set when creating your Sample Sets initially although it can easily be changed by selecting a Sample Set and clicking Edit. To import the results, click Upload. 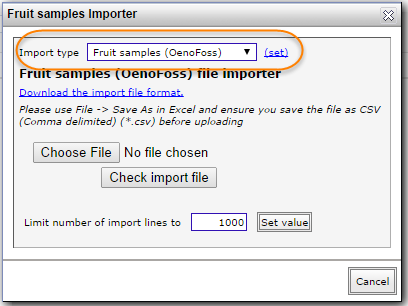 Change the Import type to Fruit samples (OenoFoss) and you can use the (set) option to remember this as the default. 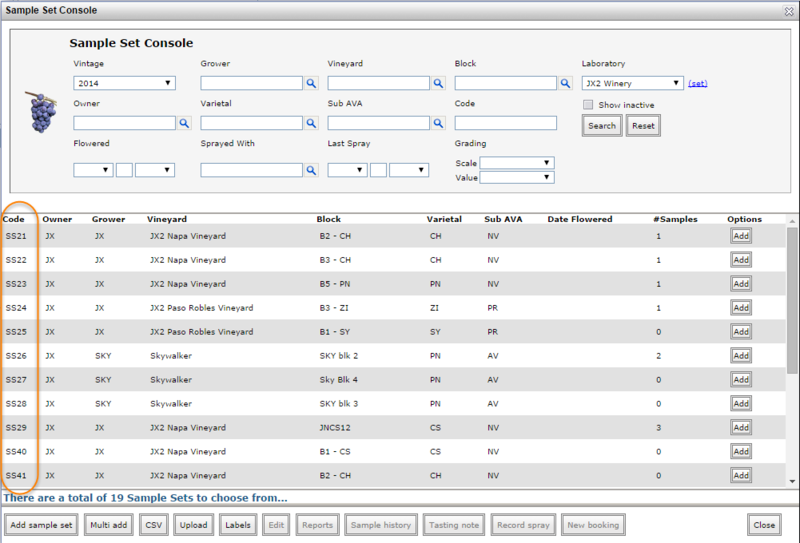 Click Choose file to locate your CSV file that you’ve downloaded from your OenoFoss to your own computer. You can then click Check import file to check for any errors before continuing with the import. A sample OenoFoss file is located here for your reference and to compare to the data that you are trying to upload if you’re having problems. Ensure that the file format is in CSV and not XLS or XLSX.